So, if you haven't noticed...I tend to make a lot of Mexican food in my house. 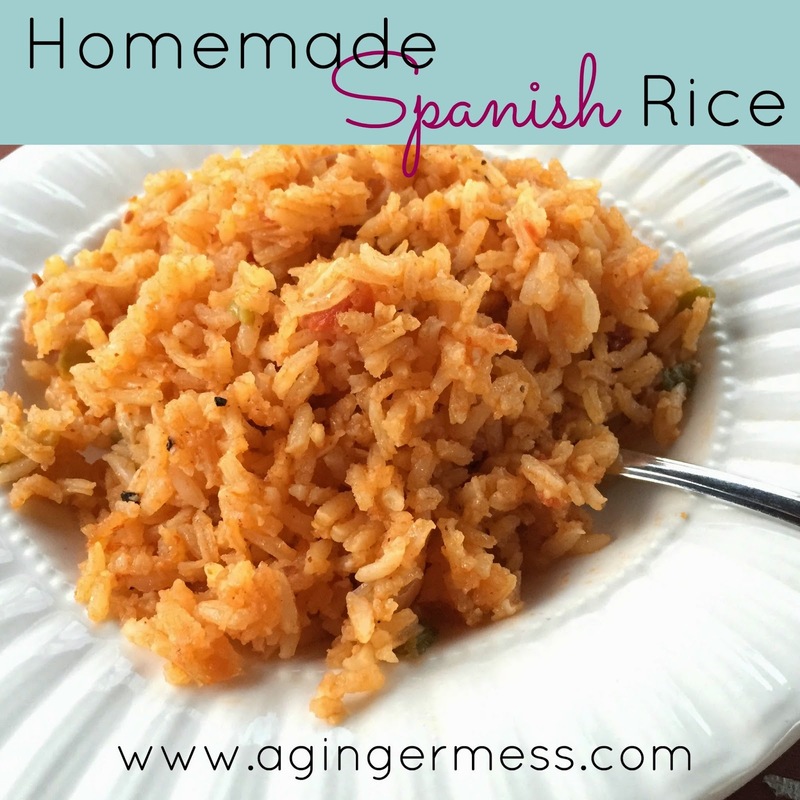 However, I usually buy packaged Knorr brand Spanish rice to go along with most of my Mexican dishes. Last week, though, the grocery store was all out. So I had to improvise. I looked up several recipes and then adapted it to make with the ingredients I like or had on hand. This is what I came up with. It may not be 100% authentic, but it certainly is closer than the prepackaged stuff I normally get. This recipe is pretty simple, and delicious! (fyi my phone is going crazy, so I ended up losing some of my pics. 1. Heat oil in a pot or deep skillet. Add rice and cook until browned. Here's the rice all browned. 2. Next, add the chicken stock, salt & pepper, minced garlic, cumin, chili powder and bring to a boil. Reduce heat to low and simmer for 15-25 minutes.